Eyebrows were raised when Supercars stewards penalised Shane van Gisbergen rather than his crew for the title-deciding refuelling bungle in Newcastle. However, a cheeky tweet from Triple Eight unwittingly explains both why it happened, and how it could have so easily been avoided. The Supercars title fight couldn't have been more delicately poised on the Saturday evening in Newcastle. 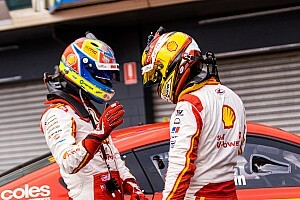 Van Gisbergen's thrilling last-lap triumph over Scott McLaughlin had closed the gap to just two points, which meant it was winner-takes-all come Sunday. That was, of course, until van Gisbergen was found guilty of breaching rule D25.6.3.2: “The car must have all four (4) wheels off the ground while refuelling is taking place. If a car is lowered to the ground before refuelling is complete it must be raised immediately and until the refuelling has been completed." 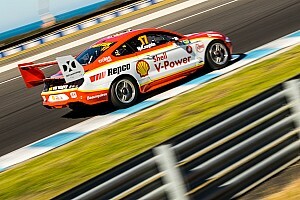 The culprit was van Gisbergen's third stop, a splash-and-dash to satisfy the 140-litre fuel drop requirement. The TV pictures were damning, clearly showing the Red Bull Holden hitting the deck with the fuel hose still attached. Having ridden its luck with the stewards in New Zealand a fortnight earlier with the wheel-spinning saga, Triple Eight lost out second time round. The stewards ultimately slapped van Gisbergen with a post-race 25-second penalty, which dropped him to fifth, burst his bubble of momentum, and set McLaughlin on course to win the 2018 Supercars title. Unlike the wheel-spinning rigmarole, this time around there was no argument over the existence of a breach. At no point did T8 deny that the fuel hose was attached when the car was dropped off the jacks, telling stewards that a flinch and a bubble were to blame. "The respondent confirmed that the system employed by the team is that the air spike operator watches the body language of the fuel attendant and when he sees a signal that refuelling is completed, he removes the spike and drops the car," the report read. "We were told that the 'flinch' coincided with the refueller observing a bubble of air in the vent hose which suggested the tank was full." Instead Triple Eight came armed with a two-fold argument regarding the severity of the breach. The first consideration was that, given that van Gisbergen was only back in the pits to take on a very small amount of fuel, refuelling was actually complete by the time the car was dropped and that the fuel hose being attached was actually unnecessary. However that didn't fly with the stewards: "The fact that the fuel attendant continued to keep the coupling connected notwithstanding that he had apparently seen an air bubble in the vent hose (being a sign that the tank is or is approaching full) suggests that the fuel attendant was not confident that the tank was in fact full at that point and, for that reason, remained connected and then disengaged when he realised that the air spike had already been removed." 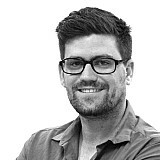 The second argument was that a tolerance for raising the car back up – the get-out-of-jail-free card written into the regulation – should apply, as refuelling was complete and the hose was disengaged within microseconds of the car hitting the ground. The stewards, however, rejected the notion of a tolerance. And, as was unwittingly explained by some social media work from Triple Eight itself later that morning, that decision to not re-jack the car was the most costly of all. In the hours following the decision, the team opted to not speak to the media. Instead, it made its feelings known with a cheeky tweet directed at race control, which featured two excerpts from different stewards summaries. One was from Anton De Pasquale at the Adelaide 500, and read "...commenced to refuel car #99, before raising all four (4) wheels off the ground in breach of rule D25.6.3.2. The stewards imposed a fine of $3000 and a further penalty of the loss of thirty (30) 2018 VASC teams' championship points." The other, T8's own breach of D25.6.3.2 with the penalty listed as 25s for the driver. The implication was clear. How did the same infraction yield such vastly different outcomes? Race control never publicly countered the tweet, but behind closed doors the justification was equally clear. Yes, the two infringements fell under the same rule. But they were different scenarios. The key word in the De Pasquale ruling is "before". For starters, at the beginning of the stop there is a significantly reduced chance that a driver will peel out of the working lane with the hose still attached. Secondly, and more significantly, having the refuelling commence before the car went on the jacks gave Erebus the opportunity to jack the car up, adhering the second part of the rule. A mistake was made, the car then went up onto the jacks, and race control was satisfied that the team had recovered the best it could. Hence, a team penalty. 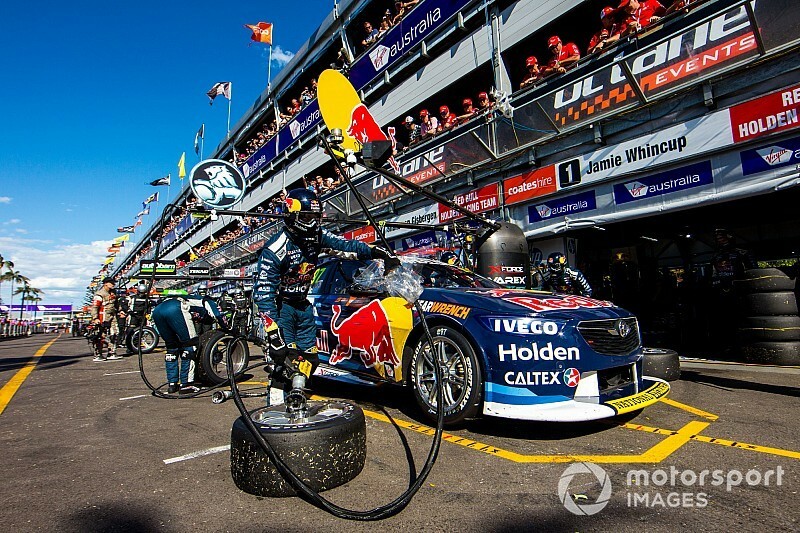 The decision to not jack van Gisbergen's car up again, despite refuelling being complete, is the crucial difference. Had the car been raised a second time, the stewards would have probably opted for the same $3000 fine and teams' points fine they gave De Pasquale earlier in the year. Once that didn't happen, though, the team penalty idea was a tough one to back – particularly given that T8's assessment that there was no performance advantage was easily countered by the fact he won the race by the tiniest bit of fuel. The remarkable thing is that immediately following the infringing stop, van Gisbergen sat at the end of pitlane while waiting for the Safety Car train to pass. So, had the team jacked the car up and dumped it again, it wouldn't have even cost him any time. He would have still won the race. He would have gone into Sunday with the gap obliterated and momentum on his side. 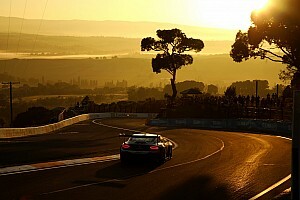 And maybe, just maybe, he'd be a two-time Supercars champion right now.